In the past year, 31 Middletown High School students were hospitalized for mental health reasons. Schools in Connecticut and across the nation are reporting a consistent rise in the number of students with mental health issues, and an increase in the complexity and severity of problems. This week, WNPR focuses attention on a particularly troubling condition: self-injury. The State Department of Public Health has just released 2013 data on Health Risk Behaviors in Connecticut’s High School-Age Youth, and it shows that nearly 17 percent of students did something to purposely hurt themselves in the year the data was collected. We bring you two reports this week. Thursday's story is one of recovery. In part one, we take a look at one hard-hit Connecticut school district, trying to cope with a substantial rise in the number of students who are cutting themselves. Some may find this report disturbing. Ann Perzan said that a few years ago, there were so few students in the Middletown school district at significant risk for self-injury. "I would know them by name, and know their families," she said. "I no longer have that personal connections to those families, because it’s increased exponentially even since last year." Perzan is the director of pupil services and special education in Middletown, which has been dealing with a startling number of high school students who are cutting themselves. In the past year, 31 high school students were hospitalized for mental health reasons, including cutting, said school Superintendent Patricia Charles. "I found it just so alarming that kids were hurting themselves in such a way, and it's not just cutting. Sometimes it's burning, self-mutilation of different types -- but cutting is one area that’s particularly on the rise," Charles said. Middletown received a Safe School grant that provided training for all staff. Eleven social workers and psychologists serve Middletown’s 4,800 students, with about 1,250 kids at the high school. Charles wanted all school staff to be able to detect the signs of self-injury: things like unexplained cuts, burns, scars, frequent bandages, or students with unusual paraphernalia like razor blades. "When you have a student who is wearing clothes perhaps that are not appropriate for the season -- because they’re too long, and it’s in the middle of summer -- or signs of depression or anxiety, we need our teachers to be able to know those warning signs," Charles said. Connecticut author David Fitzpatrick has written a book about his recovery from mental illness and self-injury. He began cutting himself when he was in his early 20s. 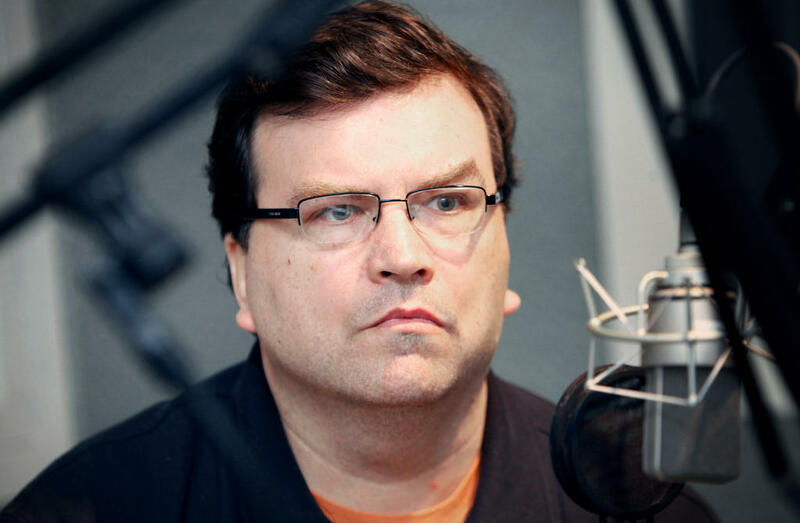 Author David Fitzpatrick in a WNPR file photo. "It was about releasing the tension. You get a high from it, too." Middletown received a Safe School grant that provided training for all staff. And an urgent request was made for additional funds from the local board of education to set up an alternative therapeutic-model learning program inside the high school. The cost to address students’ mental health needs in Middletown is significant: more than $5 million. A good portion of this money is now providing services for students who are not special education students. 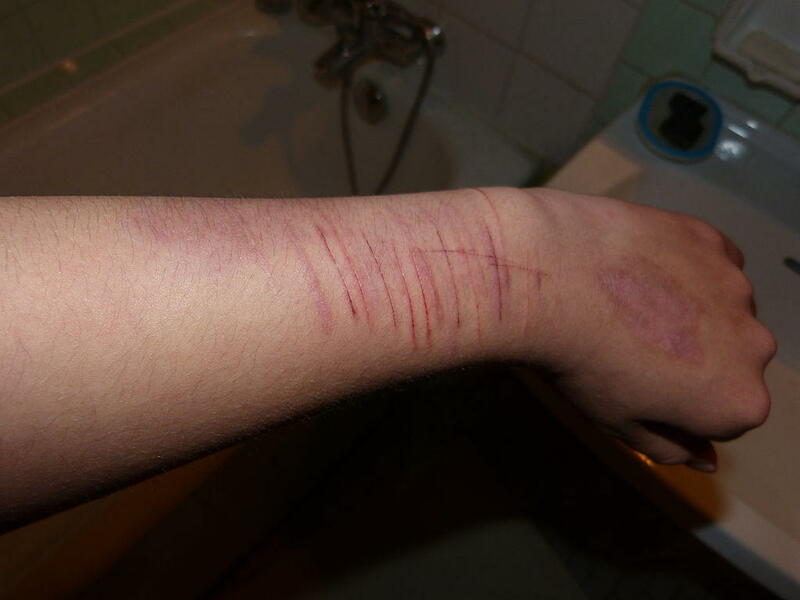 Many of the students who are cutting themselves are regular education students. 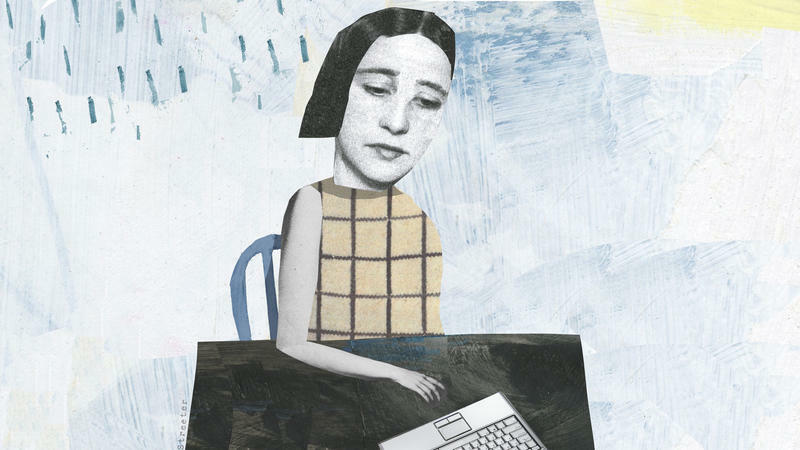 Not all students who cut suffer from severe mental illness. The Cornell Research Program on Self Injury and Recovery finds that about a quarter of those who self-injure do it only once in their lives. Six to eight percent report chronic self-injury. The intent is usually not suicidal. Cutting is used as a way to relieve overwhelming stress. "Social contagion" is a phenomenon when behavior like self-injury spreads among members of a group. Middletown High School’s new alternative learning track provides students with stress -- a smaller, more protected learning environment. Educational programs are individualized. The high school has partnered with local clinics and hospitals, so behavior therapists are on hand to help kids transitioning from in-patient stays back into mainstream classes. Research has identified a phenomenon known as “social contagion” – when a behavior like self-injury spreads among members of a group, or within a school. “This is a crisis that’s an emergency,” said McKeon. “It sprang up, and it almost also came out of nowhere, it seems.” He said the Middletown Board of Ed is doing its best, but the expense affects other everyday educational needs. “And it seems to me there ought to be a place that were we can turn to in a case like this, to look for funding, look for emergency status and get help when we need help,” McKeon said. McKeon said that as U.S. schools are required to provide more and more services for students, the state and federal government need to step up. When monies are channeled into these critical, but expensive types of programs for students, it affects a school district’s primary mission: to support teaching and learning. Check back on Thursday for part two of our series. We hear one Connecticut man’s journey through mental illness and self-injury – to recovery. Support for people struggling with cutting and mental illness is available at S.A.F.E. Alternatives as well as the National Alliance on Mental Illness. If you're wondering how to conceal the wounds caused by cutting, a form of self-harm, the Internet can tell you how. "Those long gloves, the cool stripey ones that cover half your arms, could help," advises one post on an online forum. Young human brains are delicate, developing things. A panel last week in Middletown focused on how the brain can be affected by drugs, alcohol, and technology. A forum taking place on Thursday afternoon in Middletown will bring together mental health providers and advocates to discuss the many challenges facing people with mental illness.